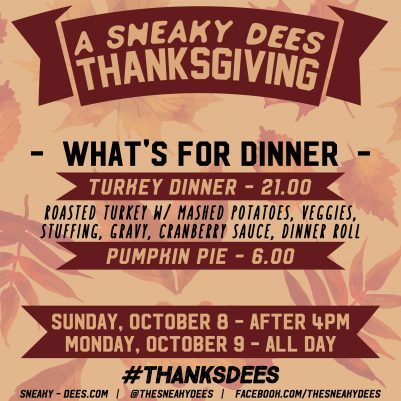 Thanksgiving at Dee’s is back! You don’t have to spend the holiday alone, join us for a very special Thanksgiving dinner! No grieving over what to cook and no mess to clean up. Available Sunday, October 7th after 4PM and all day Monday, October 9th!